Mr. K gets jazzy on this new 12-inch from Most Excellent Unlimited. 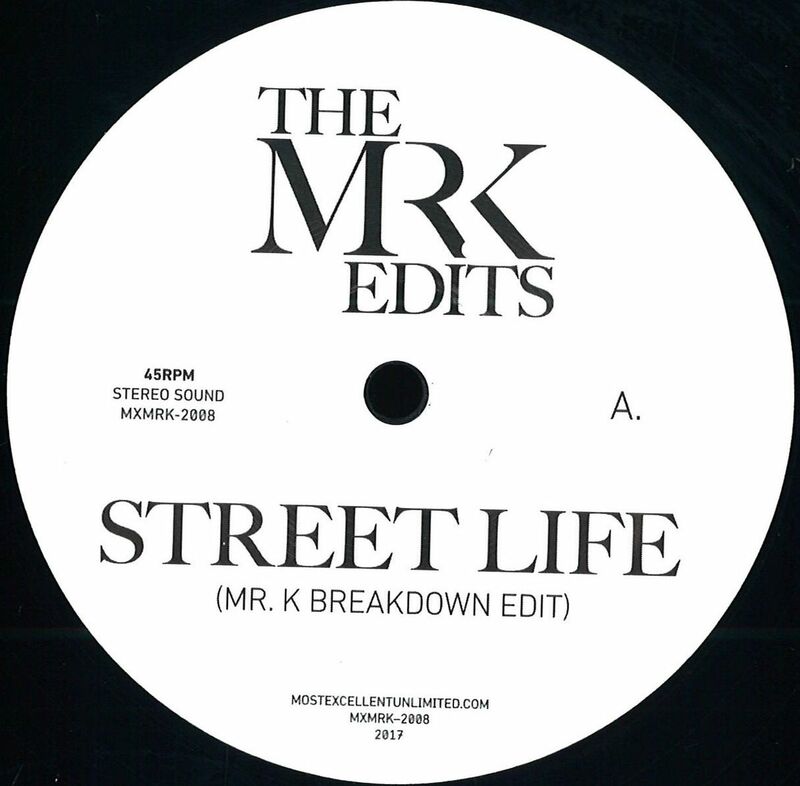 The breakdown of the smooth R&B staple «Street Life» stands out with a steady four-on-the-floor pulse that contrasts with the funk backbeat of the verses. Working exclusively with this portion, Krivit teases out six-and-a-half slinky minutes of sophisticated groove, weaving percussion and vocalist Randy Crawford’s ad-libs in and out of the mix in tantalizing fashion. As a DJ, Danny Krivit is renowned for his willingness to throw a funky curveball into the mix, and for the B-side of this single he gives us a peek at one of his secret weapons. A year after Yusef Lateef released his hit version of «Nubian Lady» in 1972, pianist Roy Meriwether was at a small club in Dayton, Ohio with his trio and laid down a sprawling live take that covered the entire side of a album, including a bridge that pushed the languid tempo of the original to a sassy upbeat workout. 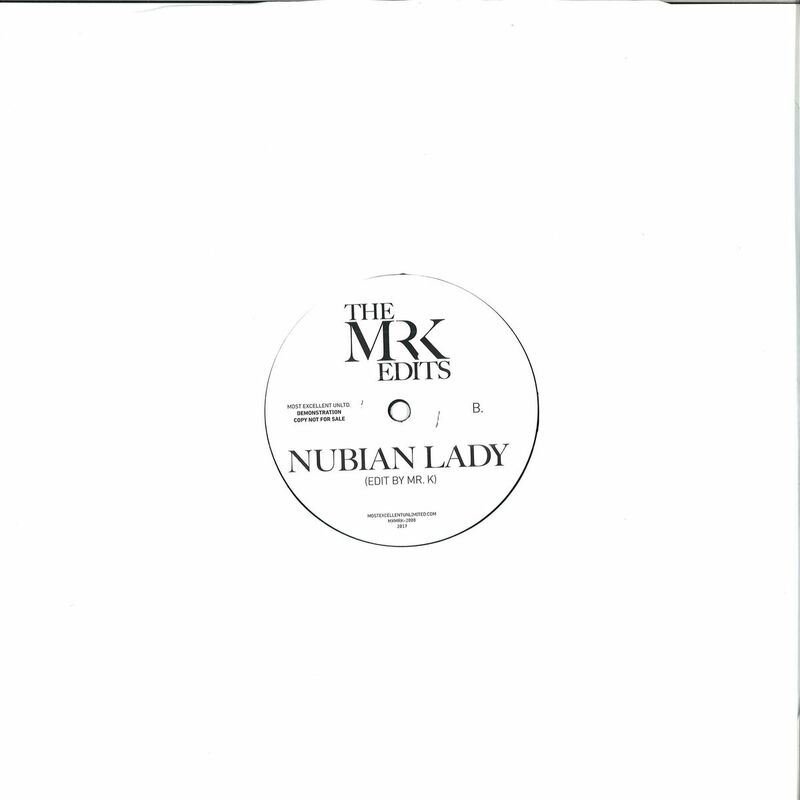 Mr. K’s edit focuses on this section, leaving us with nine minutes of gritty, get-down funky jazz complete with thunderous drum break. Whether working as a surefire party starter or a clever changeup, «Nubian Lady» is a dancer.